"An echo can soothe, and an echo can haunt. In Roman myth, Echo is the beautiful nymph with the musical voice forever calling after a boy in love with his own reflection. 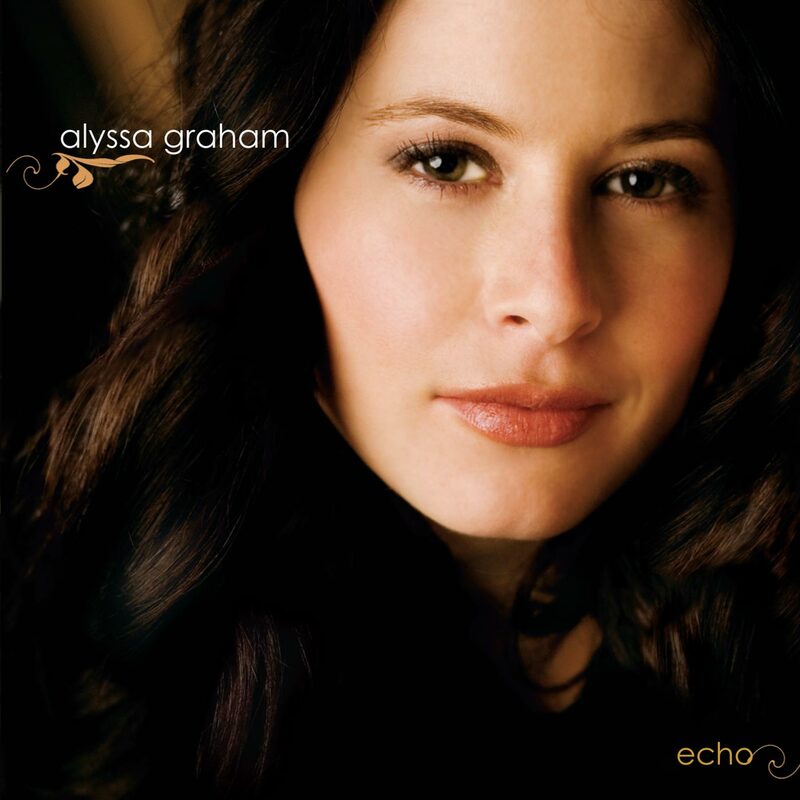 Critically-acclaimed singer-songwriter Alyssa Graham’s sophomore CD, the aptly-titled Echo, is a musical travelogue that traces the arc of a modern-day love affair and infuses it with a mélange of Jazz, Pop, and Brazilian rhythms, bound together by the unforgettable timbre of Graham’s stunning voice. Echo was produced by Jon Cowherd (Brian Blade Fellowship, Lizz Wright). Echo is influenced by Alyssa’s travel’s throughout Brazil, India, South America and Europe, as well as her long-time love affair with guitarist and lyricist Douglas Graham. “Echo is like a fairy tale,” says Alyssa, “It reveals the different complexities of an alluring lover, equally at home with flirtation and passion and knowing the precise distance between the two.” Echo is a mythical blend of magical originals and familiar melodies filled with the musical unexpected. Perhaps the most unique highlight of the CD is the track “Involved Again,” especially significant in that it was written for Jazz legend Billie Holiday in the 1950’s and was set to be recorded on her album following Lady In Satin. Unfortunately, Holiday passed away and the writer of the song, legendary composer Jack Reardon (“The Good Life”) was so saddened by this great loss that he shelved the piece for 50 years until a chance listen to Alyssa’s debut CD, What Love Is, prompted him to contact her. This unheard musical gem was recorded by Alyssa and is a song integral to the mood and sultry stylization of Echo."